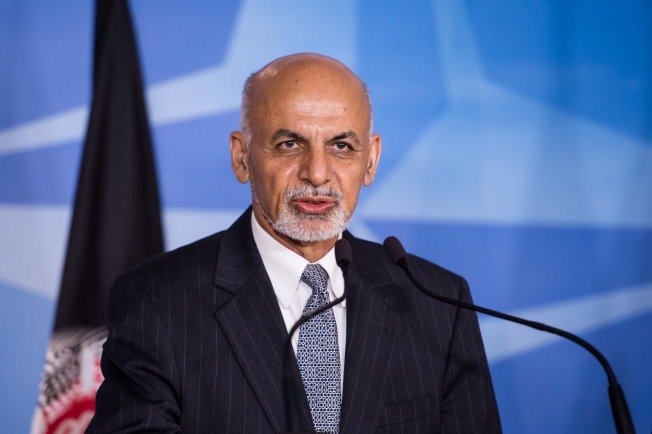 Afghanistan President Ashraf Ghani said the Afghan government is ready to allow the Taliban to open an office in Kabul, Kandahar or Nangarhar, while visiting the Nangarhar province on Sunday, according to a report by TOLOnews. He stated that he will sacrifice his own life for “a sustainable peace and a peace with dignity” that will eventually come to the country, the report said. According to the report, Ghani’s remarks are not new, but despite the government’s offers, the Taliban has until now refused to hold talks with the government. He said that it was expected of him to give up his position for peace, but added that this post was given to him by the people who voted for him and that this will not be compromised, according to the report. The report quoted a few delegates who had attended the Moscow talks stating that the main message to emerge from the meeting was that the war should end in the country and ways to attain peace need to be found. Political affairs analyst Nazar Mohammad Motmaen, who had also attended the talks, said, in the report, that other key points to come out of the meeting was that the Afghan politicians saw a “flexibility” in Taliban’s views towards women and the social and political role they play. “They did not have problems about women’s education, business and a role in government if Islamic principles and Afghan values are considered. This was the issue on which the women delegates there (in Moscow talks) were convinced about it,” the report quoted him as having said. An official from Afghanistan’s High Peace Council, the report, said some parts of the Moscow resolution will be added to their agenda, despite government skepticism over talks. “The High Peace Council is studying the resolution issued at Moscow talks. The parts of the resolution which are in favor of Afghans will be considered in daily activities of the council,” said Sayed Ehsan Taheri, spokesman for the High Peace Council, as per his quote in the report. The agreements made during the talks include the withdrawal of foreign troops from Afghanistan, support to Doha talks, removing Taliban members’ names from the UN blacklist, the release of their prisoners and legitimizing Taliban’s Qatar office. The US Special Representative for Afghanistan Reconciliation Zalmay Khalilzad said last month that they had agreed on a draft for peace when he held six-day talks with Taliban members in Doha late last month, the report stated. Recently, Taliban had appointed co-founder Mullah Abdul Ghani Baradar as the leader of their political office in Qatar to lead talks with the United States to end the Afghan war. The Taliban had issued a statement to announce Baradar’s appointment and a reshuffle in their team to put senior leaders into key positions as the talks with US officials gain momentum. Meanwhile, Khalilzad said the United States is hoping they can strike a peace deal before the presidential elections in Afghanistan scheduled for July. “It will be better for Afghanistan if we could get a peace agreement before the election, which is scheduled in July,” Khalilzad said, adding that there remained “a lot of work” to do. “We are after a peace agreement, not a withdrawal agreement. A peace agreement can allow withdrawal,” Khalilzad said. He added that “elections make the peace agreement more complicated”.